It's golf, but much less boring. 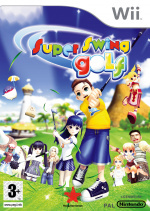 Super Swing Golf: Season 2 (known as simply Super Swing Golf in Europe) is all about the "Pangya! ", Korean for "Bang!". It's an over the top, heavily Japanese inspired Wii golf title. Expect some completely unrealistic characters and extravagant locations and courses. Unlike simulation golf games Super Swing Golf actually has a story/adventure mode - well, almost. Tour mode follows your characters progress around the different courses where you must complete mini games and mini match-plays against other characters in order to progress to the next course/area. Surprisingly this mode works well and keeps your interest more so than a standard/straight golf game. Like us, you'd probably expect all Wii golf games to take lead from the benchmark golf section included in Wii Sports. Sadly Super Swing Golf doesn't take advantage of this obvious control method and sticks with something more traditional, presumably due to its roots of the online PC game. Boo hiss. Instead of the intuitive controls we're present with something more basic, taking a shot is simple, after you select your club and adjust your aim a single press of goes into shot mode, twisting your hands back like a golf swing you adjust the power bar, once happy a quick swing whilst pressing and holding completes your shot. This system lets you be far more precise in power as you lock it in place, but lacks any form of realism that's found in the Wii Sports method. Because of this its hard to recommend to people who simply wanted an expanded experience of what they had in Wii Sports, instead we get something that's in-between Wii Sports and any other console golf game. However it doesn't end there, you have a full range of golf clubs to choose from, each with varying distance, interactive map so you can pin-point your aim and even special power "Pangya!" shots. You get to use a limited number of (purposely unrealistic) power shots during a round, each one has a descriptive name such as "Cobra", a shot that drives low and hard then ascends and drops at the last moment. Whilst making your way around the courses in tour mode you will unlock a number of clothes, characters and other goodies all available from the Clubhouse. Kitting out your character in the latest golfing fashion and clubs will improve their game, giving them extra power, control and spin. 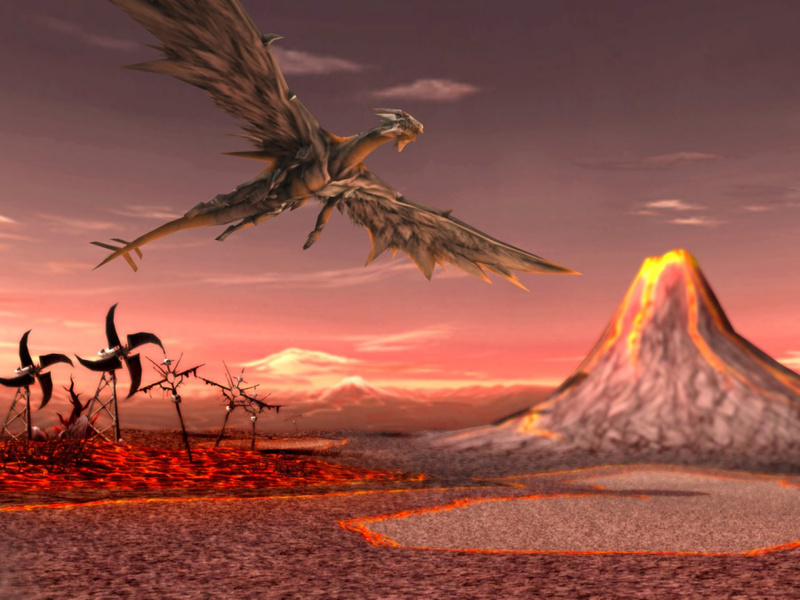 Each course has a number of challenges and mini games before you face the final "boss" match-play which when beaten will unlock the next course. 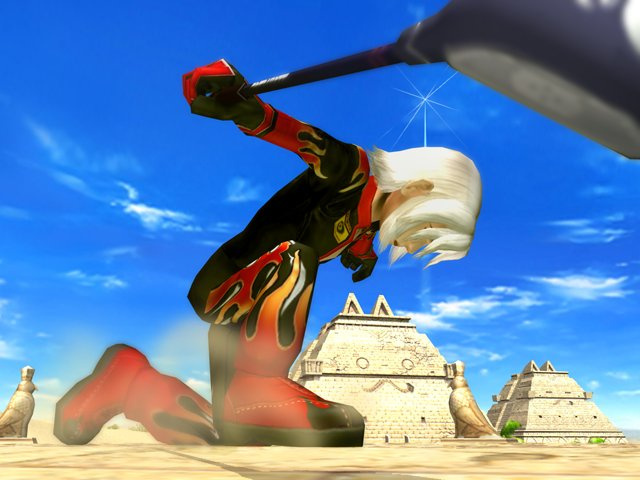 If you fancy some more familiar gameplay, the simple VS mode will get you straight into the action against a computer or human opponent. For those new to the game or simply want to brush up their game, the included practise mode should help them out. 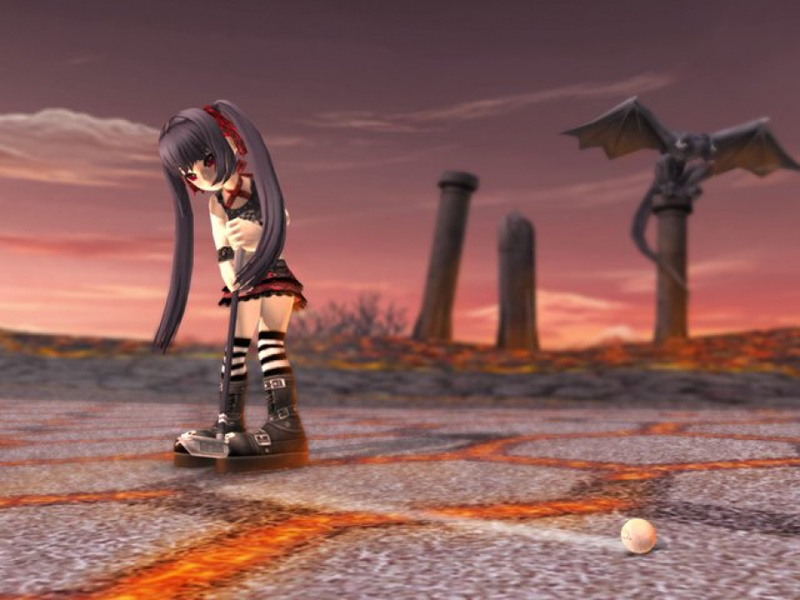 The extremely vibrant Japanese anime style will appeal to alot of gamers, but would probably fool some into thinking its a kids game, those are the people that should research some of Tecmo's other games. 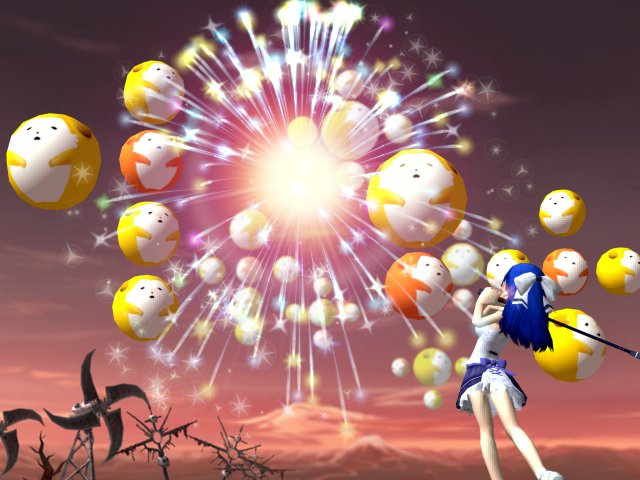 Not only is the visual style all happy, colourful and bubbly so is the music and sound effects, some quite wonderful Japanese game music is to be found in this title, sure to put a smile on your face. With a total of fourteen courses to play through you won't be short of new links to play, impressive. It's hard to fault the game from a general perspective, it's well presented, solid controls and easy to understand structure. Simply put it doesn't have any major problems, but fails to innovate in any area. 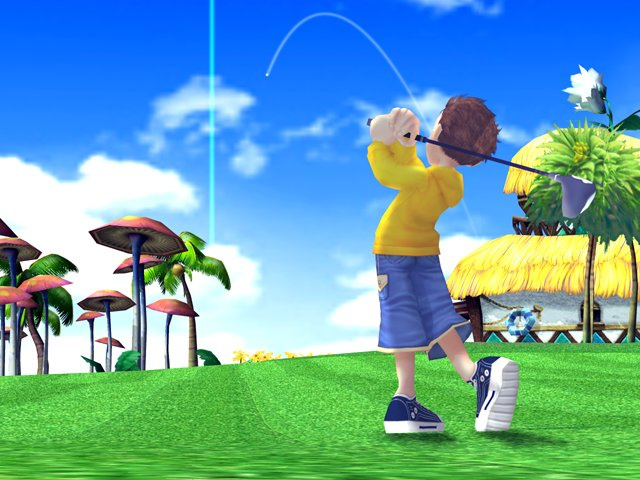 Given a slight visual polish (16:9 mode please) and fully implemented Wiimote controls (ala Wii Sports) and Super Swing Golf would be a total joy. Because of this it turns something that could of been great into something that's only just above average. 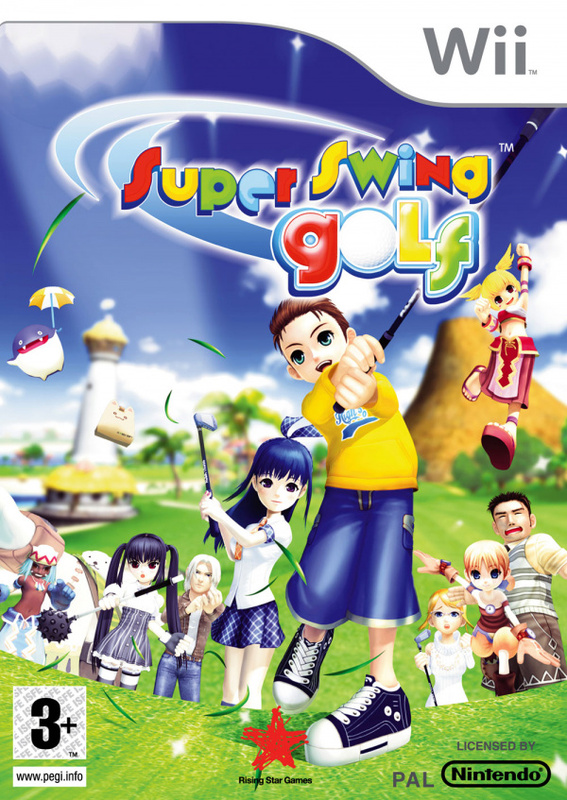 Overall Super Swing Golf is a well made, well presented golf game with a zany style that might not suit everyone. With everything extremely Japanese and embraces everything anime those who can't get past the cute characters and over the top courses should stay away and get something else with "Tiger Woods" in the title, this is no simulation. Accomplished but slightly flawed, mainly in the control department, Super Swing Golf is a recommended buy until something better comes along. Looks good, if a little disappointing. Have you tried out Tiger Woods '09 yet and if so is that any better? Tiger Woods '09 review should be posted sometime over the weekend look out for it.. I dont really find a problem with the controls. I think theyre simple and real fun. I guess not playing part 1 or other golf games I cant really say much. But I love it and review isnt really harsh though. Well written. In the end I love Japan and Anime. I didnt want anything too serious but the games pretty deep. I love it if you're interested people go get it.